Carolina Forest is one of the most desirable and fastest growing areas in or around Myrtle Beach, South Carolina. This 9000+ acre master planned community encompasses homes and family focused neighborhoods, as well as varied dining and nightlife, shopping, grocery stores, gas stations, banks, and top notch schools! Real estate in Carolina Forest is thriving, and garnering more and more attention every day. Whether you are looking for a custom home, a community built by one of the national home builders, or a condo, Carolina Forest Homes will fit your lifestyle! Situated just west of the Intracoastal Waterway and downtown Myrtle Beach, Carolina Forest is in a prime location! Many of the communities are less than five miles to the beach, and it is within ten minutes to Myrtle Beach International Airport, Market Common, Coastal Grand Mall, Barefoot Landing, and Broadway at the Beach. The major highways of the Grand Strand surround Carolina Forest, offering easy access south to Murrells Inlet or north to North Myrtle Beach and Little River. Each Carolina Forest neighborhood offers something different! From custom homes and gated communities to golf course and waterway communities, to condo and apartment living, Carolina Forest has something for everyone and caters to many price points and home styles! 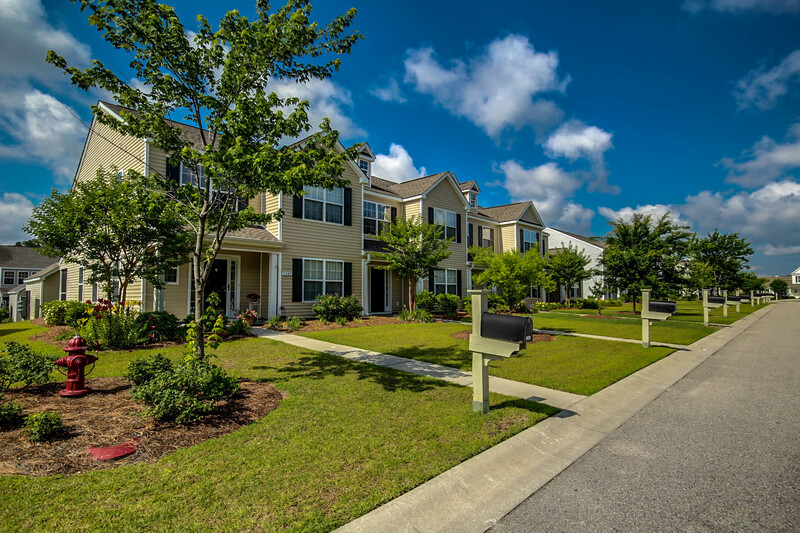 Carolina Forest communities offer more options and benefits for homebuyers in Myrtle Beach. With all of the choices available, it can become overwhelming! This website is the one complete, convenient, and organized resource guide for all of the neighborhoods in Carolina Forest, providing you with all the information you will need for buying or selling real estate in the area. Here you can search the MLS for all Carolina Forest real estate, Carolina Forest Land, new Carolina Forest Homes, and condos in Carolina Forest. In addition to the ease of searching all available properties, here you will find information on the current local market, tips on preparing your home to sell, what to expect when buying a property, information on neighborhoods, retail areas, schools, entertainment, my Myrtle Beach Real Estate Blog and much, much more! Carolina Forest Real Estate offers an extensive variety of properties to choose from, in varying price points. We are experienced Carolina Forest REALTORs who are experts in the area and the properties available. We will guide you through the home buying process and expedite your search. Most importantly, We will ask you questions, listen to your needs, and find the properties that best meet your needs. We will get the deal done, with your best interest in mind! To continue providing the unparalleled level of service we promise to all of our clients, we reserve our services for serious buyers and investors who are qualified and ready to buy property in the Carolina Forest area. Please call or email us with any questions you have, and utilize all the features that this website offers! We look forward to working with you! When selling your Carolina Forest Property, you need a seasoned local REALTOR to provide you with the information and expertise to sell your home, as well as the most aggressive and individualized marketing available for your property. We provide our sellers with a comprehensive strategy encompassing my vast knowledge of the local market and wide ranging advertising that is second to none. Over 90% of home buyers begin their search for real estate on the internet. The cornerstone of our marketing plan takes advantage of the full power of the internet with high search engine placement. Every property that we list is featured on our website with photographs, descriptions, and detailed information, as well as blogs focusing on the property, allowing your property to attract the perfect buyer. We also combine virtual advertisement with the best positioning in Myrtle Beach Real Estate publications and local newspapers to insure the highest exposure possible for your property! To sell your Carolina Forest Real Estate quickly, efficiently, and for the highest price, you must be represented by an agent who is intimately familiar with the Carolina Forest area, and will provide you with individualized advice and service. We are those agents! We will guide you in preparing your home for sale, provide you will all of the information you will need, help you to make your property stand out from the crowd, and aide you in pricing your home to sell for the right price in the right timeframe! For more tips on preparing your home to sell and pricing, visit the Sellers section of this website. Find out what your home is worth today – contact us for a FREE CMA! With so many styles and types of communities to choose from in Carolina Forest, there is certainly a neighborhood that will meet all of your needs. There are gated communities, custom home communities featuring all brick, stucco, or Charleston Style homes, and more. 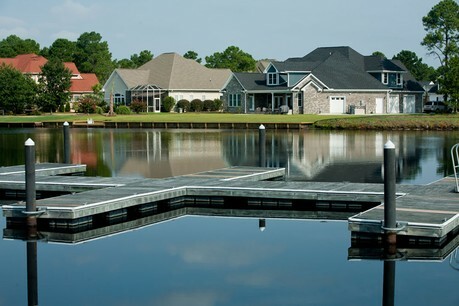 Intracoastal Waterway communities featuring dry boat storage, lake front homes, and golf course communities all located in Carolina Forest. The custom home communities in Carolina Forest are truly must see neighborhoods. Plantation Lakes, Waterbridge, Covington Lake, Covington Lake East are all located on the main thoroughfare, Carolina Forest Boulevard. The Battery on the Waterway, Carolina Waterway Plantation, are both Charleston style communities, and along with The Bluffs are located along the Intracoastal Waterway and feature dry boat storage. Legends is located on Highway 501 very close to Carolina Forest Boulevard, and boasts one of the most played and revered golf courses in the Grand Strand. Black Creek Plantation is a beautiful development located on International Drive and offers one to three acre lots. Each of these communities are unique and individual, and offer all the amenities you expect in a great community. 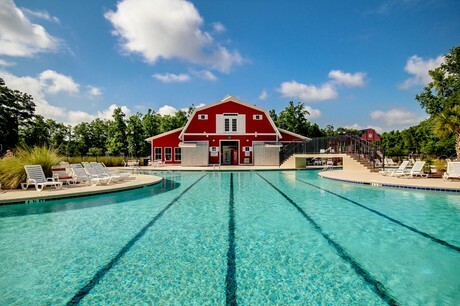 The big national homebuilders have also made their way into Carolina Forest with more affordable communities like The Farm at Carolina Forest, Berkshire Forest, Avalon, Belle Grove, Southgate, Walkers Woods, and Clear Pond. All these communities offer a number of different floorplans to meet every buyers needs. Some of these communities continue to develop and new homes are still available! Each neighborhood also offers great amenities ranging from beautiful amenity centers, large pools, children’s playgrounds, fitness rooms, basketball courts, tennis courts, and baseball fields, and more! Many homebuyers are searching for style, convenience, limited maintenance, and affordability when purchasing a home. These needs are met and surpassed by a number of townhome and condo options in Carolina Forest. 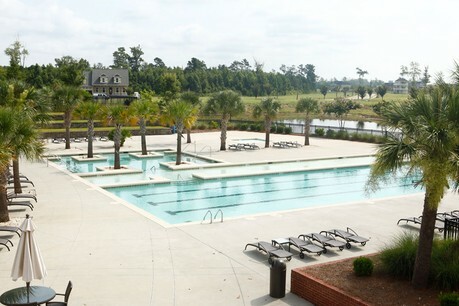 The Orchards and Sunrise Villas are both located in The Farm at Carolina Forest, and feature large condos and townhomes, many of which have garages. Berkshire Forest also features condos and townhomes within the community. Other options include Sawgrass East, Turnberry Park, World Tour Villas, and Windsor Green. Each of these communities offer amenities, varying from fitness centers and community pools to a golf course! For many, building a dream home is the best way to get everything they want and need. Plantation Lakes, Brighton Lakes, Covington Lake East, Carolina Waterway Plantation, The Battery on the Waterway, The Bluffs on the Waterway, Black Creek Plantation, Legends, Waterford Plantation, Waterbridge, and Waterway Palms all have building lots available. You can find lakefront lots, Intracoastal Waterway lots, golf course lots, and lots over 3 acres. Builders and developers are creating fantastic new neighborhoods in Carolina Forest, and rolling out new floorplans for existing neighborhoods as well. Buyers and investors have an excellent opportunity to get in on a new home purchase at pre-construction pricing! These new neighborhoods and floorplans could be the perfect choice for you, offering all the options you can think of in the floor plan of your choice, or the perfect opportunity to work with a builder designing the custom home of your dreams! Contact us today to find out more information about new home construction and new condo projects in the Carolina Forest area. If you are thinking about relocating to Carolina Forest or if you want to buy a vacation home or investment property, real estate in Carolina Forest has it all. We look forward to sharing with you all that Carolina Forest has to offer! Call 843-424-6900 or email us today to take advantage of low pricing on homes, condos, and vacant land in the Carolina Forest area. Listing courtesy of RE/MAX Southern Shores , Jeremy Blanton. Listing courtesy of United Real Estate MB , Teri Kaufmann. Listing courtesy of Realty Center , Ryland Pruett.